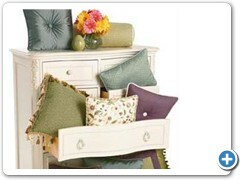 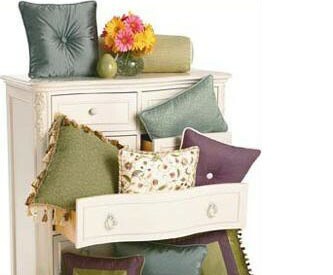 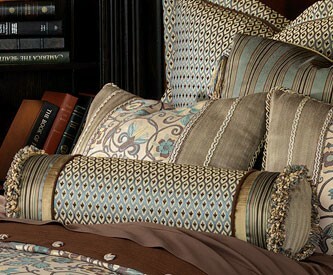 PILLOWS, SHAMS and BOLSTERS (neck rolls) ...are the perfect complement to luxurious bedding. 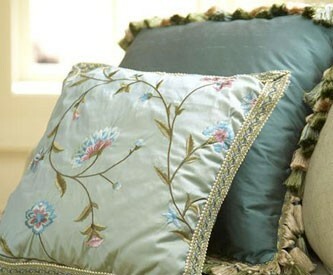 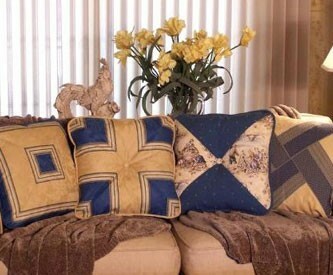 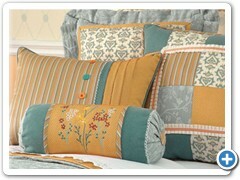 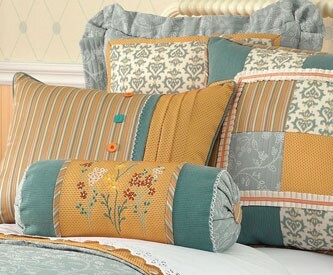 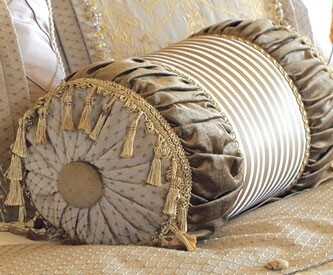 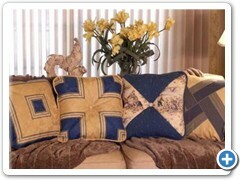 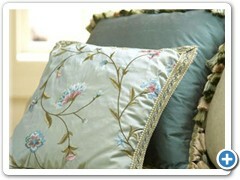 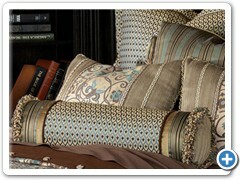 Adding beauty and comfort to your ensemble, designer pillows are custom crafted to your taste. 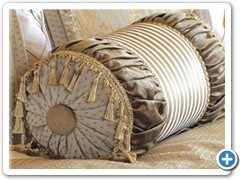 Available in every imaginable size and style, these items are often enhanced with magnificent trims and bandings. 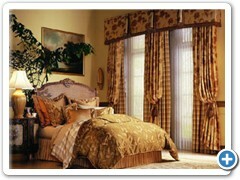 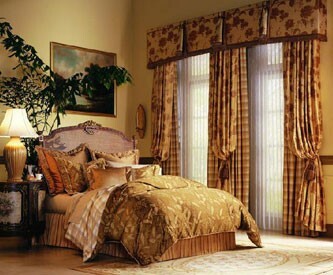 Custom Window Fashions' luxurious faux down fills are economical, fire retardant, hypoallergenic and light as a cloud!